I have been an early adapter of internet and all the magic, and convenience it brings to our life. I moved to online payments in 2000 when there was only one third party utility to do the same. Now in the age of smart phones things are even better as now your computer travels with you in your pocket. 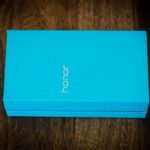 Yes you read it right the modern smart phones are more powerful than most computers even 5 years ago. I think voice calls is only 5 % of my cell phone usage and most of it is used for browsing, bill payment, ticket booking, searching for information, banking etc. 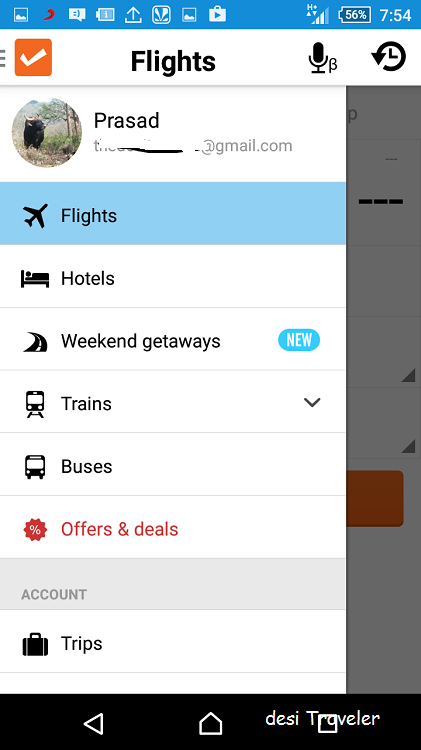 As I try to travel as much as possible I use my smart phone for booking tickets and hotels etc. also. 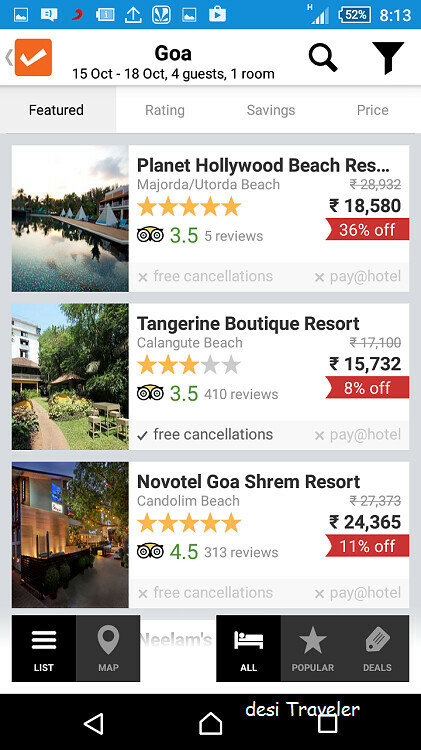 In this post let me take you through the review of Cleartrip App that I use on my cell phone. 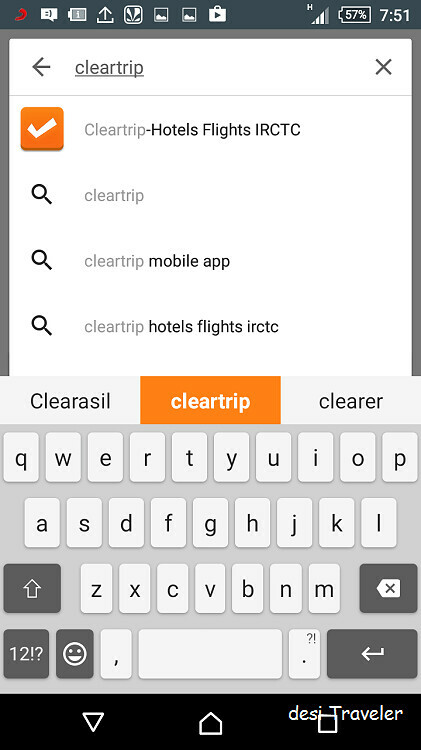 Though the Cleartrip app has many features I have used it for booking flight tickets, hotel search and rate check and also for finding weekend getaways from the city I am in. 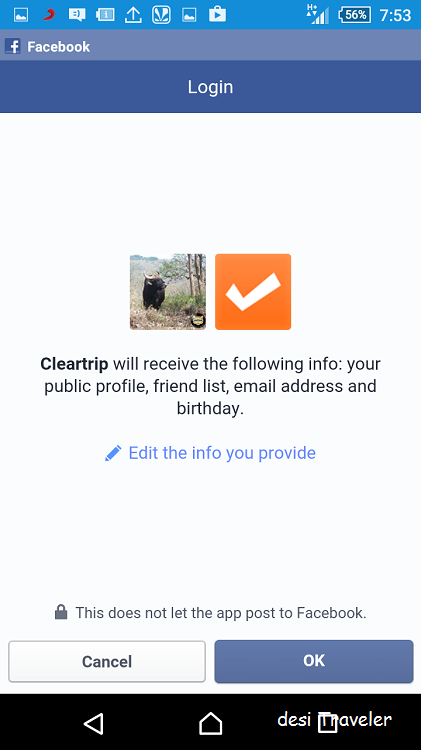 First if you are not very comfortable with apps (which is highly unlikely in today’s age of smartphones 🙂 ) , then let me assure you it is very easy and you just need to follow few simple steps. Make sure your phone is connected to internet either through a Wi-Fi or a data connection. Once you are on internet go to Google Play store if your phone is android and to the App Store on iPhone. 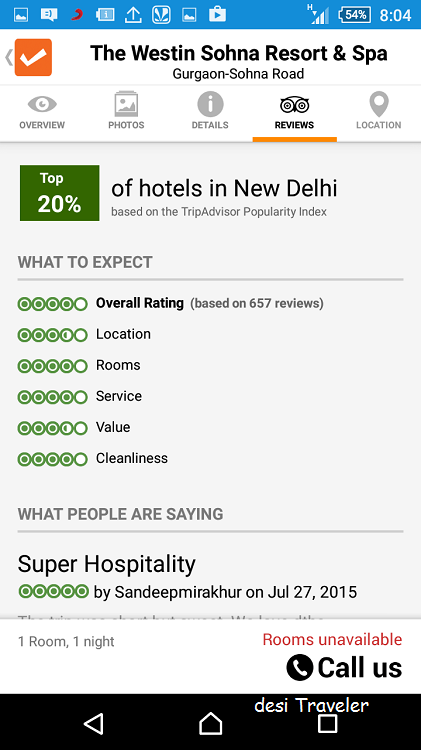 But this review is only about Android version of Cleartrip App. 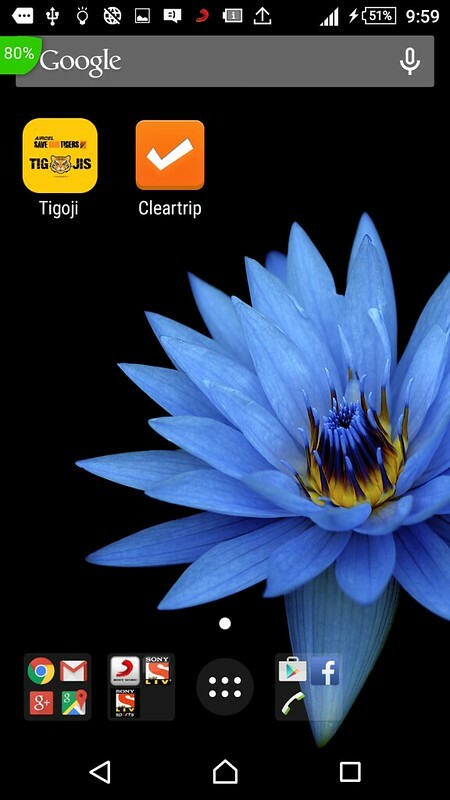 Installing the Cleartrip app was a breeze and on my 3G connection it was very fast. I am sure if you are on Wi-Fi it will be even faster. The app works in multiple countries and as I am a true desi, I chose India as my country. 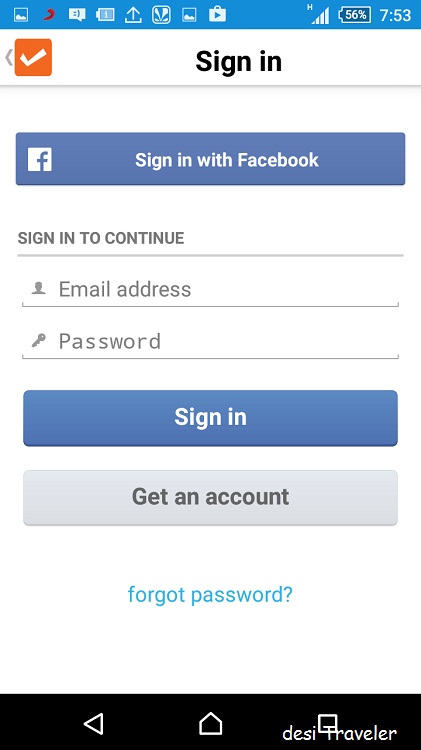 Once in the app asks you to login if you have an existing account or you can also login using your Facebook Credentials. 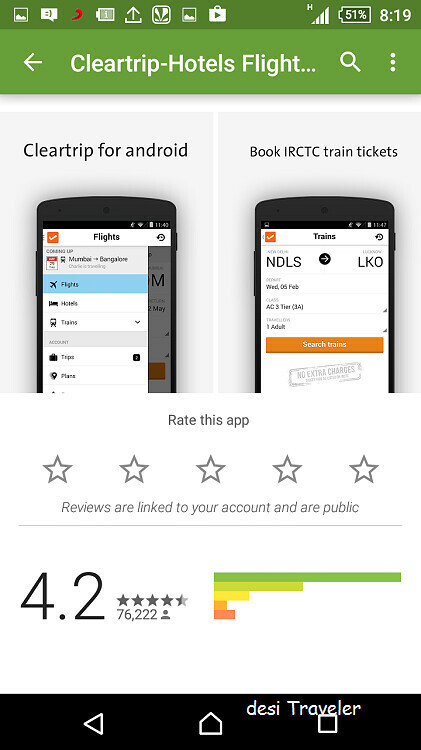 The first feature I checked was flight booking as that is the tricky part with rates changing dynamically. 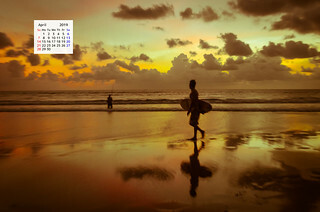 I chose one of the busiest sectors in Indian airspace – Delhi Goa and I got many flights neatly sorted out on basis of price. But one can also sort based on time of departure etc. 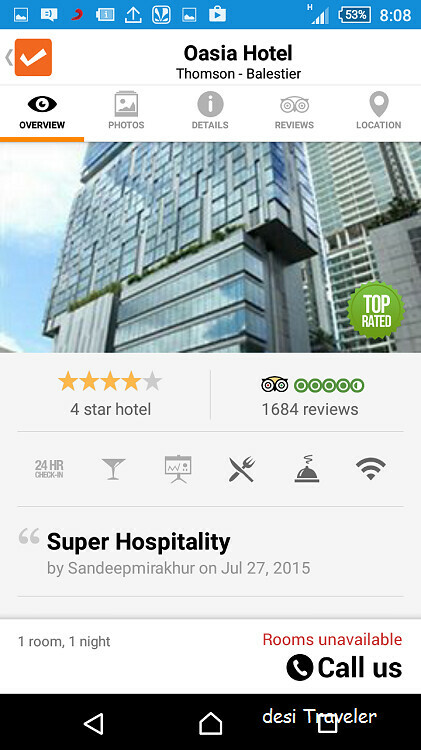 The rest of the booking was a breeze though I would have preferred if the App picked up things like Name, Age etc. from Facebook, but this could be for a reason e.g. 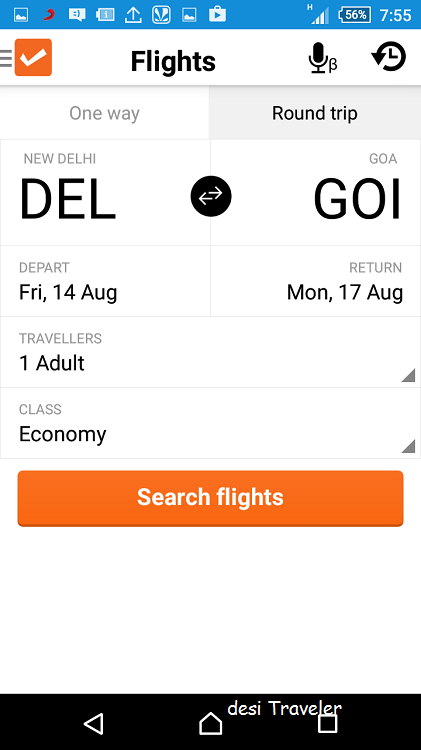 if you are booking ticket for some other person from your phone then you will need to delete your name and fill once again. 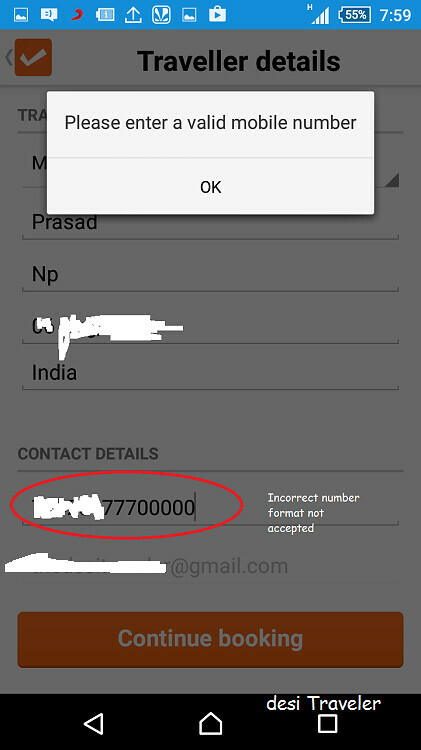 The Cleartrip app is smart enough to not accept wrong dates and phone number e.g. 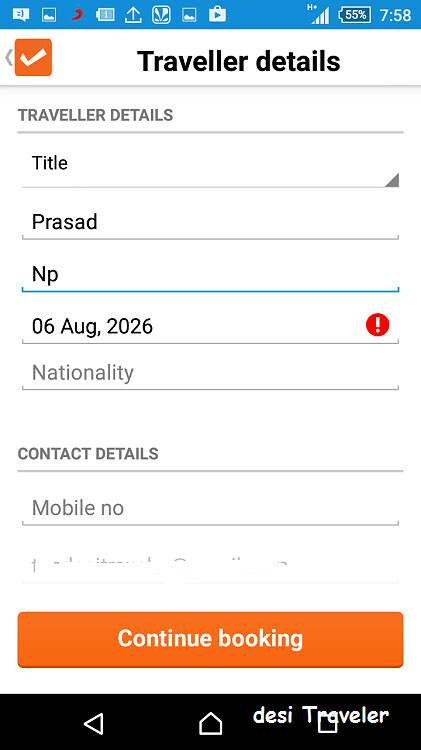 I entered a future date as my DOB and it was rejected, similarly I gave a wrong phone number (more than 10 digits) and it was also rejected. 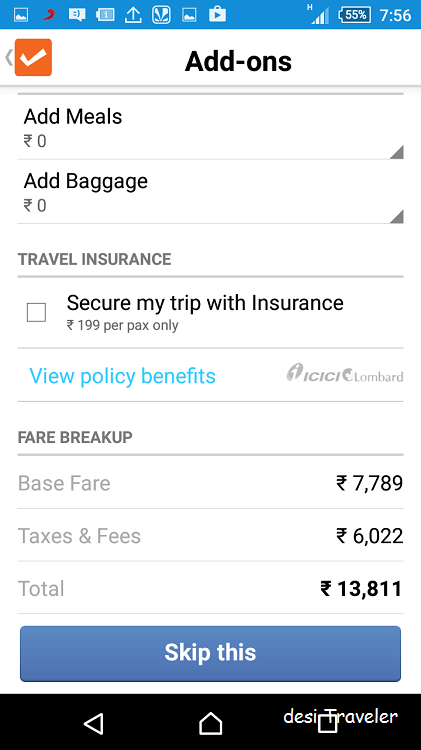 The Cleartrip app lets you also book additional features like insurance, meals etc. on additional payments. 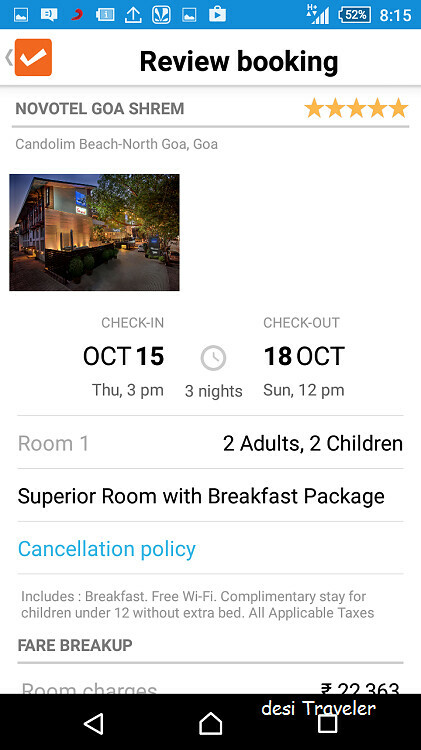 Once I was at the booking end and it was time to make the payment, the app accepts all form of payment, there are multiple payment options like Credit/ Debit cards, net banking etc. 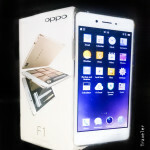 available to make payments and you can choose any one of them as per your convenience. 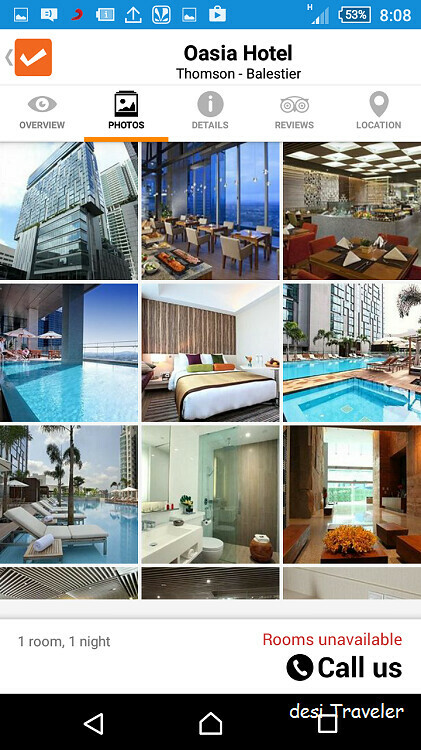 After flight I checked the various holidays and hotel options and first checked the weekend getaways from NCR. 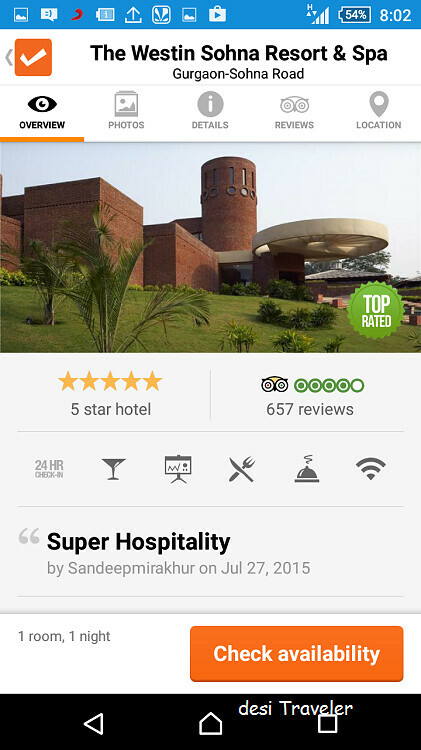 The app quickly gave me a few options within driving distance and I chose one of the luxury resorts outside of Delhi. All this while I was on the 3 G network and there was no lag or delay in the functionality of the app. It did not crash or gave me any error message. 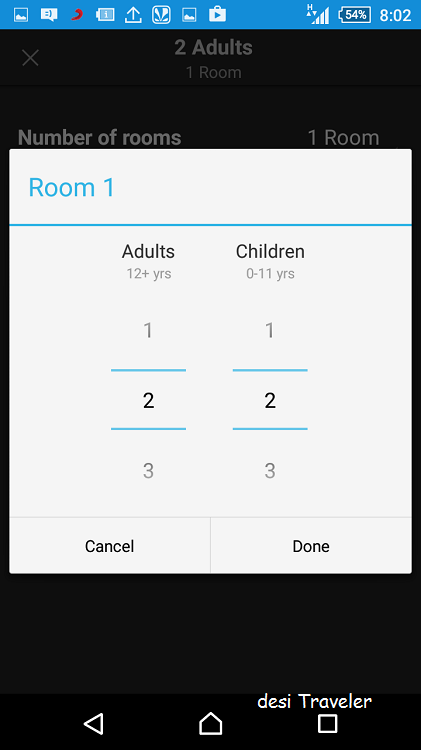 The hotel option gave me dates to fill as well as number of adults and children in the room. 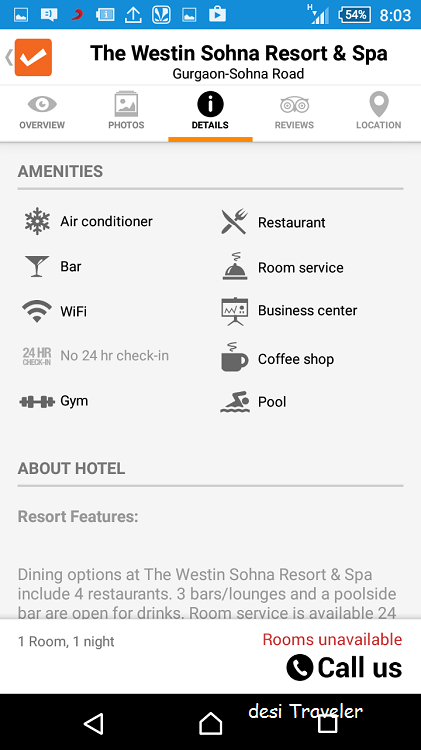 I could check the pictures of the room and hotel on the phone itself and the app also links to TripAdvisor reviews to get first hand information about the property one plans to stay in, along with all the amenity information like type of rooms, dining facility, swimming pool etc. 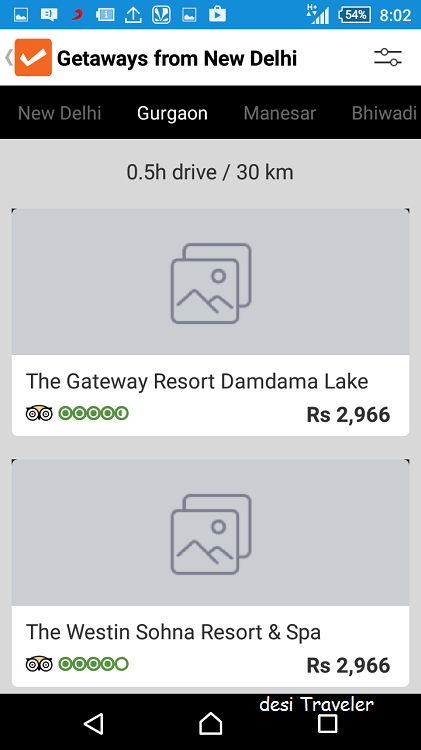 As this was only for weekend getaways but a lot of people want (including me) like to go on holidays / business trips outside India so I checked the hotels in other cities also. 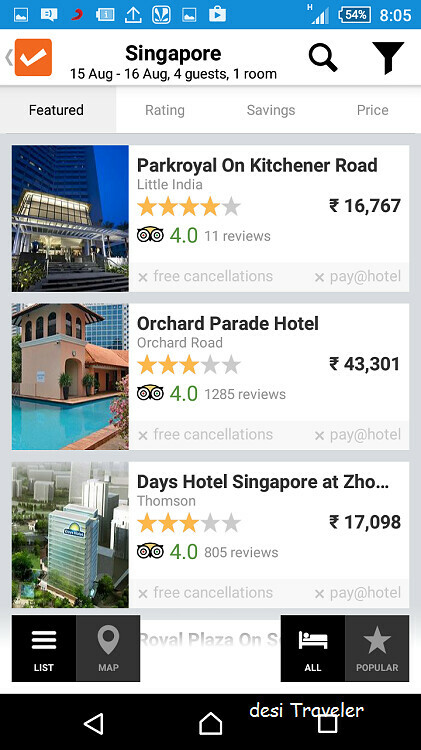 I played around with bookings of hotels in Singapore and then later about hotels in Goa. 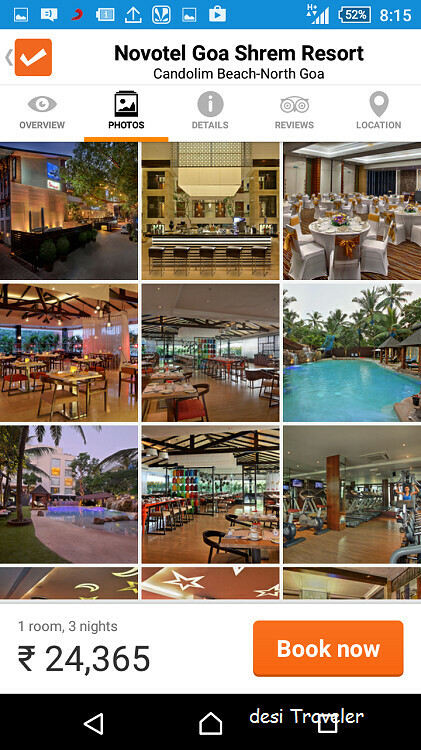 In every case I got many options and I could sort them out on the basis of budget, type of hotel etc. and once I chose property I could easily go to the pictures, rates, type of rooms, facilities available and reviews on TripAdvisor. 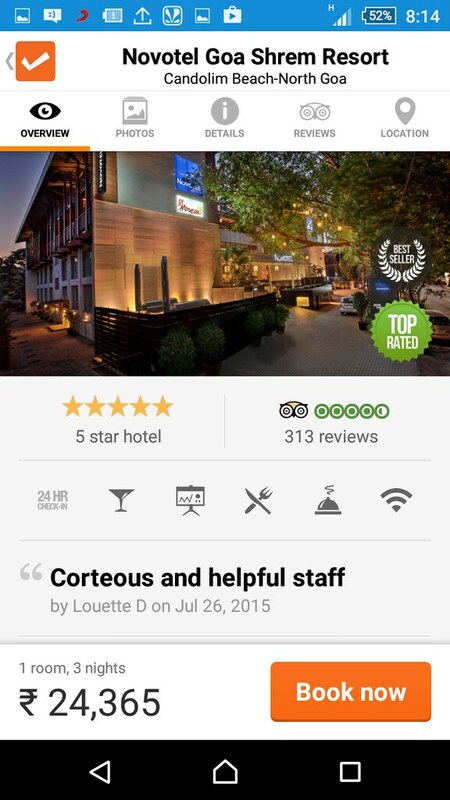 One great feature in the app is if you are stuck somewhere due to any reason and want to speak to customer care you can just tap on the Customer care button and the app takes you to the phone screen with the Customer care number of Cleartrip: 095953 33333 and you can dial it without struggling to find it . 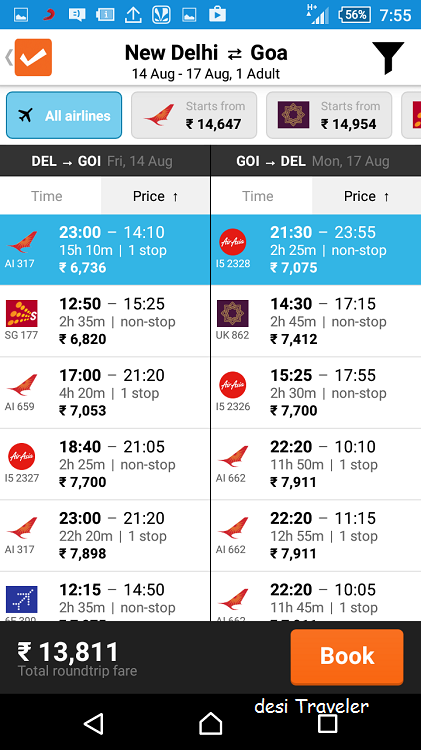 What about the cost the app off course is free for you to download though you will have to pay data charges. But I am sure you are more worried about the cost of air tickets and hotel bookings you are making. 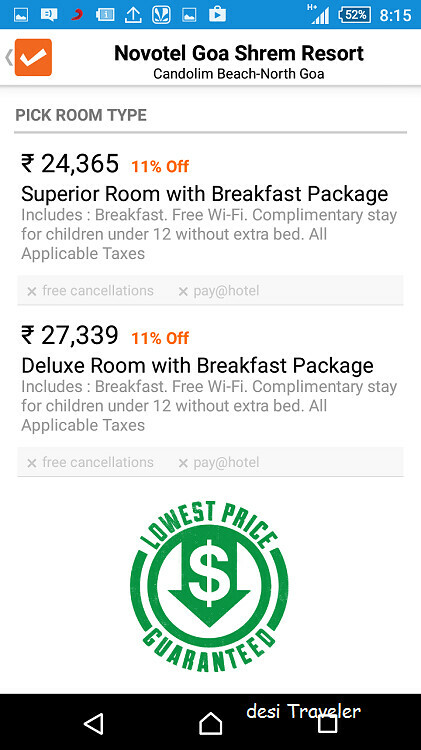 Well the app at the time of hotel bookings gives you a lowest price guarantee though I could not see it on the airlines ticket booking screen. 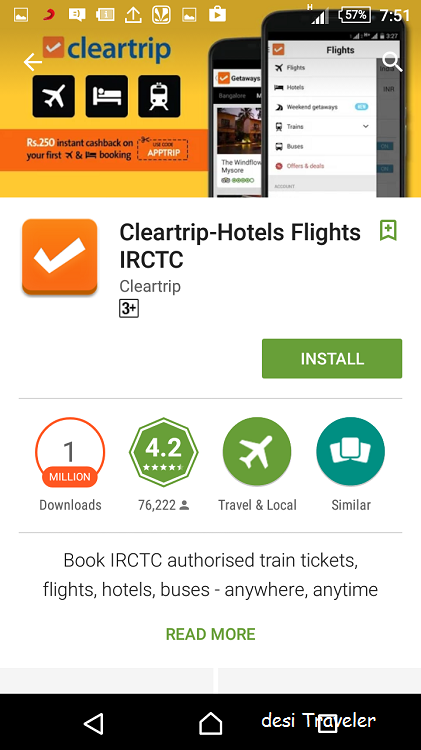 From a sheer convenience, speed and robustness point of view the Cleartrip mobile app for Flights, hotels booking is very easy to use and a must have travel app on your phone. Hehe..you can tell a lot about a person from their apps on the phone.